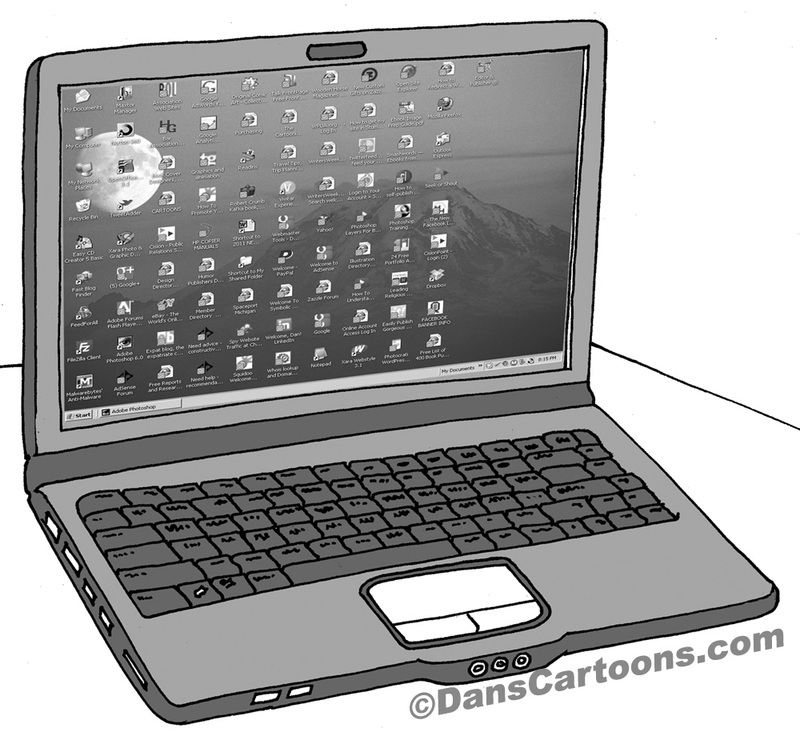 Internet cartoons are very popular in my various collections and am going to profile several that I offer for review and licensing in your print and digital publishing projects. Any panel that I offer for consideration here is of course open to interpretation and can be captioned differently or colorized if needed or even redrawn if you wish. Flexibility is a big aspect of my repertoire and I always emphasize that no questions are too big or small so feel free to contact me with any questions as I can assist! 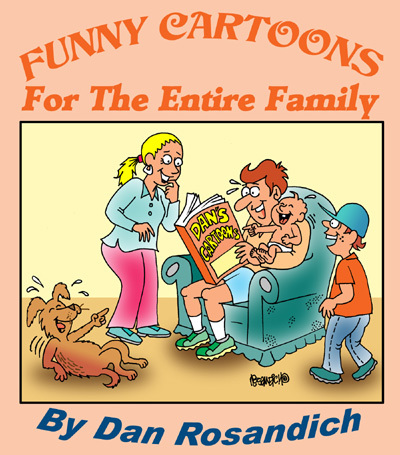 I have illustrated for many computer publishing companies over the years, in fact dating as far back as 1978 . . . long before anyone even realized there were computers or how popular they would become! Computer consultants, software publishers, consultants and facilitators specializing in technology and many more have utilized my work in their projects. 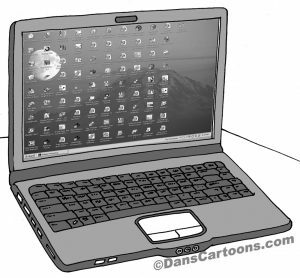 In fact, technology and computer cartoons have been a large part of my cartooning output for many years based on the popularity of technology and it’s impact on society. Everything from Facebook cartoons to cartoons about mobile technology are available if you’re seeking specific kinds of panels for your project. And any cartoon panel that you may find would look better if color is added can also be done for you. Need a gag line underneath any cartoon changed? That can also be handled by me if you wish. Please keep in mind that sometimes an image that is directed more to your visitors or readers will have a greater appeal and make a better impact by embedding that “message” in their memory, so oif you have something in mind, just contact me. And of course, anything can be re-drawn to your specifications. No question is too big or too small I always emphasize. Thanks as always, for dropping by the ToonBlog!